With a 25 year track record of insulating cavity walls, Isothane’s injected polyurethane foam product offers market leading insulation properties and stabilisation for properties that are unsuitable for standard insulation products. 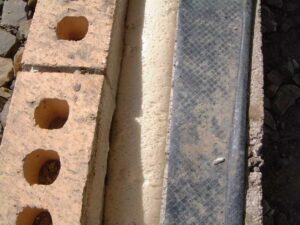 The closed cell nature of the product means it is offers resilience to properties which are flood prone or in areas exposed to wind driven rain in addition to it being suitable for cavities which are narrow, variable or in stone properties. Technitherm is a specialised cavity wall stabilisation and insulation product suitable for hard to treat properties.